Just so so, but good location ... Good location. 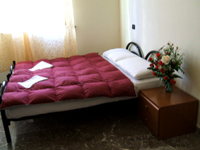 Are you searching for a beautiful atmosphere bed and breakfast or budget in Rome? Is your hotel in Rome centrally located? then, Our small Hostel in Rome offering excellent accommodation at Competitive prices, for that special holiday in Rome, the beautiful capital of Italy. korean Hostel in Rome have 5 guest rooms with neat and clean share toilets. 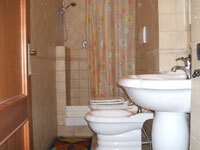 All of the rooms at Korean House cheap Rome B&B are tastefully decorated and offer all comforts. Rooms are located on the 6 top floors of a 4-storey historical 19th century building. Our reception and common spaces are located on the same floor. There is a lift in the building to take you there! 1. Please print out your confirmation and pay IN CASH the balance due upon arrival. 2. If you do not give us 48 hours notice (3 days) of your 'no show' by e-mail, we will unfortunately have to debit your card. The amount charged will be your first night's accommodation. Phone cancellations are NOT ACCEPTED. every half hour and takes 30 minutes. The first morning train goes at 6:37 AM and the last evening train at 11:37 PM. (If you arrive after 11 PM it is best to take a taxi to the hotel, the cost should be about 45 Euro). At Termini station take the right exit to Via Marsalla. this hostel is very close to termini train station, so it's very convenient for Local rail, subway/metro, bus terminals, etc.